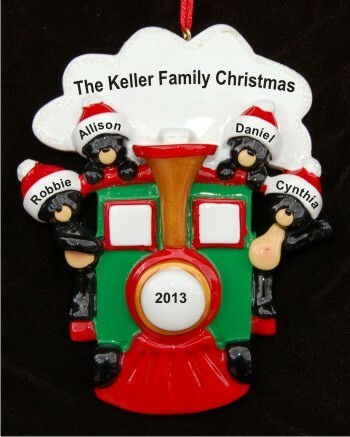 Train lovers simply adore the all aboard for family of 4 personalized Christmas ornament that exudes seasonal cheer! These family ornaments personalized by hand add a lovely splash of color to your tree, though the holiday cord makes it easy to display them wherever they bring the most pleasure. 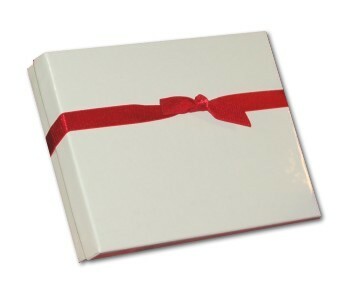 Let us customize the front and back of the all aboard family of 4 train Christmas ornament for your gang or one on your list for a special decoration that ships in our custom velvet gift bag. Christmas ornament for my son's... Jan 19, 2015 Marilyn B.
ornaments for the family Nov 8, 2013 Karen D.